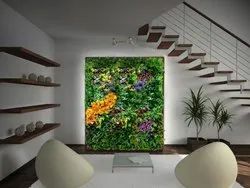 Prominent & Leading Manufacturer from New Delhi, we offer pvc artificial vertical garden, outdoor artificial vertical garden, pp artificial vertical garden, artificial vertical garden, artificial green vertical garden and decorative artificial vertical garden. Due to our immense capability in this work domain, we have brought forth a huge variety of PVC Artificial Vertical Garden. Create an instant natural ambience, with this striking vertical wall mat from Dekorr. 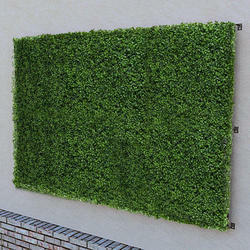 Install is a breeze, so you can enjoy this vertical garden wall at home or at work. Our vertical wall mat range embodies a spectacular nature-like atmosphere by landing quite a solitude and vibrant personality to your space. Dekorr vertical wall mat is a real inner-city crowd pleasure. 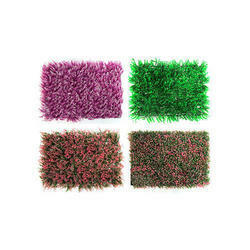 This eye-catching Dekorr Vertical Mat will transform your tired wall space into a vibrant wall instantly. The Large leaves, thriving ferns and beautiful colour tone create an artificial green wall that veers on the wild side, whether you install it indoor OR Outdoor. Price range: Rs. 100 to 250 per square feet. Capitalizing on the ability of our skilled personnel, we are keenly instrumental in delivering a comprehensive array of Outdoor Artificial Vertical Garden. 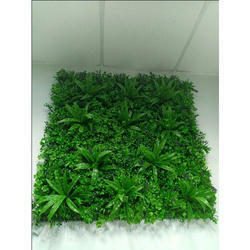 Justifying our reputation in this market, we are readily immersed in the arena of offering to our patrons a broad consignment of PP Artificial Vertical Garden. Supported ourselves with proficient amenities, we are readily instrumental in providing an inclusive variety of Artificial Vertical Garden. To furnish the varying desires of our customers, we are immersed in offering a world class consignment of Artificial Green Vertical Garden. Price range: Rs. 300 to 800 per square feet. Having a positive quality management system, we are involved in presenting a comprehensive compilation of Decorative Artificial Vertical Garden. Price range: Rs. 200 to 500 per square feet. 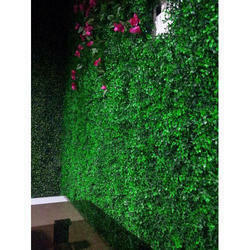 Being quality-centric firm, we are engaged in presenting a high-class range of Flowered Artificial Vertical Garden. So as to accomplish high level of customer trust, we are keenly involved in offering Rectangular Artificial Vertical Garden. We offer them at reasonable rates. 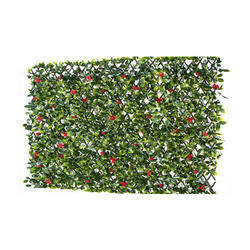 Dekorr expandable willow trellis with faux foliage is an easy-to-install privacy screen. Features a lightweight and durable framework constructed from genuine willow branches. Leaves are made from UV-resistant polyester or polyethene depending on leaf type. Vertical Garden size varies depending on the adjustment. The fence can be installed by simply securing to support and extending the trellis to the desired width and height. 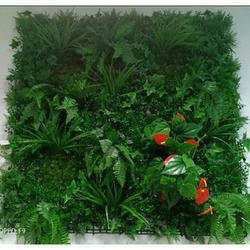 Discover the difference with Dekorr Vertical Garden on your next commercial or residential project.